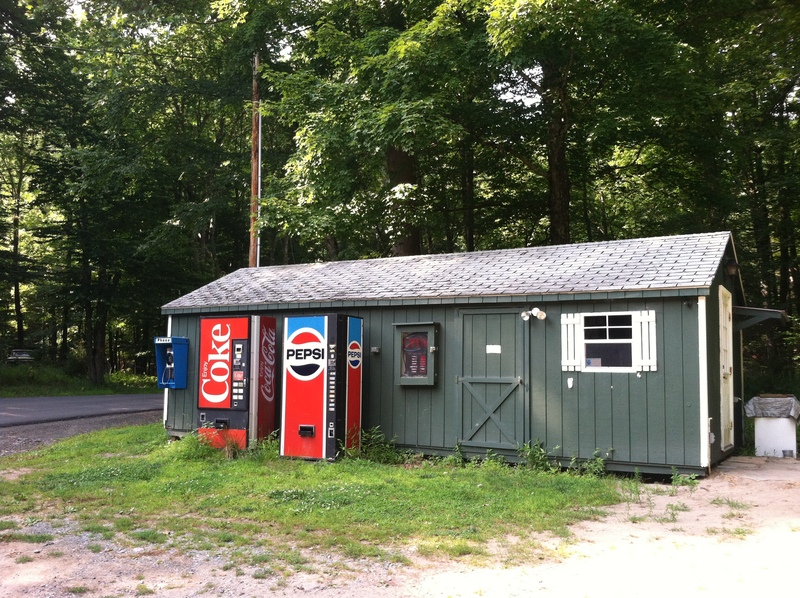 One of the things that always strikes me about the Catskill Mountain 100K is its simplicity. Despite the fact that the course traverses 62.1 miles – a formidable distance even for a relay team – there’s an air of simplicity about it that is unmistakable. Whether you’re lined up at the exchange point waiting for your relay teammate to reach you, running your own leg, or just driving the course in support of your current runner, there is nothing stressful or complicated about any of it. It’s just you, the road, and the beautiful Catskill mountain landscape. It’s this concept of simplicity that has drawn me back again and again to CMRR ever since first running it in 2004 with a group of friends from my train commute. Back then, team Rail Riders was an uncompetitive team (I think we came in in just a few seconds under 9 hours), but we had a blast, and took home many great memories. 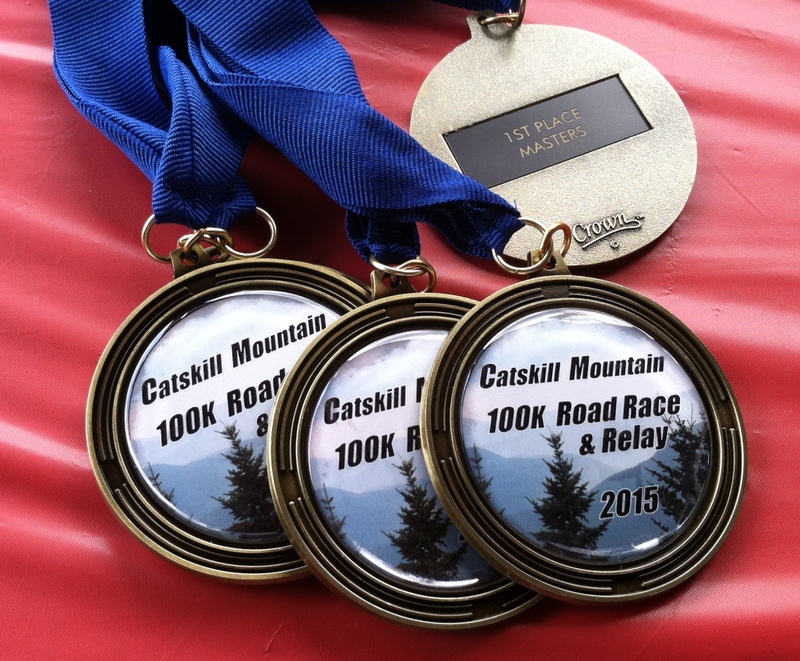 All this was in mind as I made last minute preparations for the 2015 Catskill Mountain 100K Road Race & Relay, my second year as race director after having spent 8 years running in the event myself. This year’s race featured 15 relay teams, but also 13 starters in the fairly new solo division, a doubling of the number who toed the line in 2014. 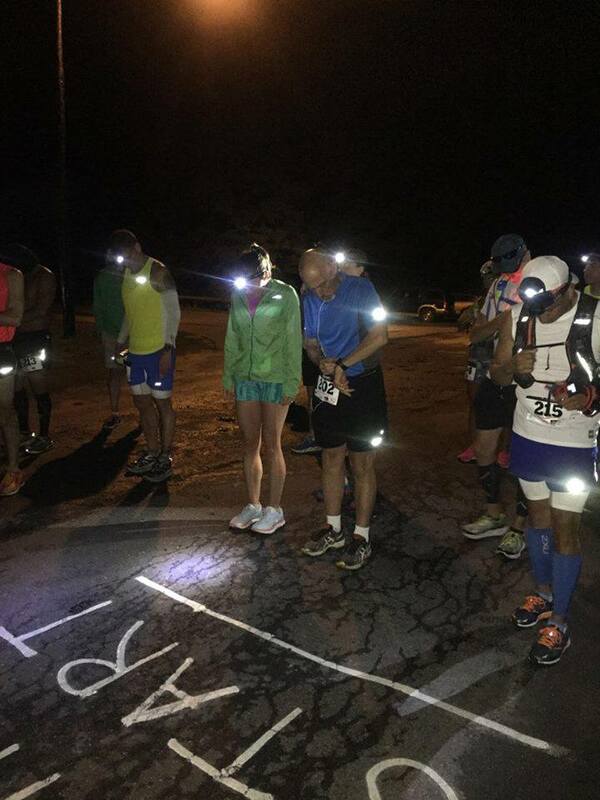 The 4:00am start of the solo race began under the light of the street lamp where High Street meets Woodland Valley Rd in the quiet hamlet of Phoenicia, NY. I sensed a determination in the runners, and despite the forecast for temps in the upper 80s, knew that we were going to be in for a good day out there. Not long after the lead runners began returning from the out-and-back first 10K, relay teams started to appear in preparation for their 5:30am start. But the solo race began to take shape, with William Uribe the 1st to reach the 10K mark in 44 minutes, followed just 2 minutes later by Adam Rau. Both men appeared to be running too fast by my estimation, but the proof would be later on, when they reached the 70K and 80K sections of the course, which would be in open sun during the hottest part of the day. CMRR and 100K newbie Rachael Rheaume was the first female to reach the 10K mark in 59 minutes. Following the Solo start, Relay division teams were released onto the course at half-hour intervals between 5:30 and 7:30am. A group calling themselves Dirty Running Scoundrels, decked out in shirts depicting a skunk that resembled Pepe Lepew, fielded four teams in this year’s race. Another running team from New York City called the Dashing Whippets Racing Team (DWRT) fielded three teams, upping the ante from the one team they had brought to last year’s race. Also joining the fray were two Albany-based teams, a Long Island team, and even one from distant Ithaca, NY, aptly calling themselves ‘Cornell.’ The Harrier Men were back this year from NYC, trying to avenge their narrow loss to team Raider Pride in the 2014 race. And finally, there were the Road Warriors, comprised of runners well-known in the Orange and Sullivan County race scene, several of whom were long time veterans of CMRR. Once everyone was off and running, I gave instructions to Andres Espinosa and Jim Bixler, two of our super volunteers, who would be out on the course most of the day making sure that the solo runners without a crew were monitored and being cared for. Moving out past the 20K mark, my girlfriend Catherine and I spotted several runners along Route 28, making their way between Phoenicia and Big Indian. With the time now approaching 8:00am, I was particularly pleased to see my car thermometer still showing a temperature reading in the low 60s. Cooler temps would obviously make it an easier day on both ultra runners and relay runners alike. 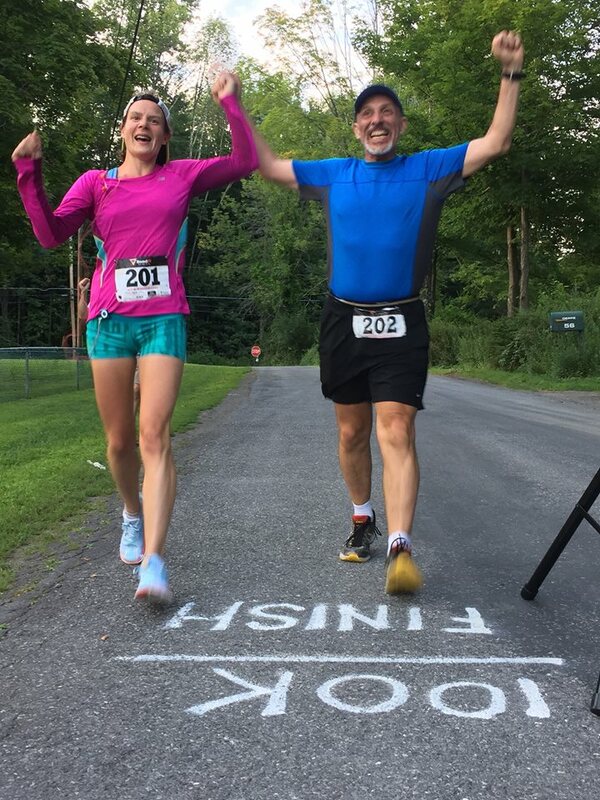 As we neared – and then rounded – Fiddler’s Elbow and began the huge ascent up Winnisook Hill, we encountered several other solo runners, all of whom appeared to be doing a good job of properly pacing themselves on this very hill race course. Trishul Cherns and Melissa McCutcheon were running together, and Trishul told me that he was predicting a finish for them of right around 15 hours. Rachael Rheaume, although having lost the lead female position to Jordan Grande, was still smiling, and appeared to be happy with her day so far. Ken Kirsch was plodding up the hill, but based on his experience of last year, knew that running this section was not only an exercise in futility, but also possibly a recipe for disaster. The next step for Catherine and I would be to get to the 55K mark and set up the water table there before the first unsupported runner reached that point. But as we made our way into Frost Valley and past the expansive YMCA property there, I became concerned that William and Jordan were both still nowhere in sight, and I was worried they had beaten us to the 55K location. Fortunately, we came upon race founder Brian Cavanagh, part of the volunteer support team working with the solo runners. Brian told me that both of them were just a few minutes ahead, and I was relieved to know we’d be able to get to them in time. Just after we set up the table alongside the East Branch of the Neversink River, William came ambling along, apparently suffering from some difficulty with his plantar fascia. I helped him refill his water bottles, and after looking at his watch, he assured me that even if he wasn’t able to run the entire way, he still had plenty of time to finish, and that he would do exactly that. Minutes later, Jordan appeared, and was looking very strong. After attending to her needs, we left the table there for the other unsupported runners and moved on in search of lead runners Chris Rice, Dante Simone and Adam Rau. We passed Chris initially at about the 57K mark, but then caught up with his dad at the 60K exchange point. After a quick chat, we learned that Chris was doing OK despite our having seen him sitting on the car tailgate with his shoes off a couple miles back. Apparently he was changing his shoes and socks at regular intervals as a way of staving off blisters, which seemed like a great race plan. It was at the left-turn at Zanetti’s Garage that we caught up with Dante, and he gave us a smile and a few words of gratefulness as we slowly drove by. Heading to and through Grahamsville, and now on our way toward the Rondout Reservoir section of the course, there was still no sign of Adam, and my jaw was practically in my lap as I contemplated the speed with which he appeared to be completing the course. Or had he DNFed? We didn’t know, and we would have to wait a little while longer to find out for sure. Catherine and I set up the 75K water table at the bald eagle viewing area alongside the reservoir, working as quickly as we could, and carefully covering the water and Gatorade with a tarp so as to keep them from becoming too hot in the blazing mid-afternoon sun. Moving ahead toward Sundown, we finally reached Adam, who had one of his brothers pacing him at this point. He looked utterly depleted by the heat and sun, but I took comfort in knowing that he had his family all there supporting him and making sure he was as hydrated and as cool as possible. 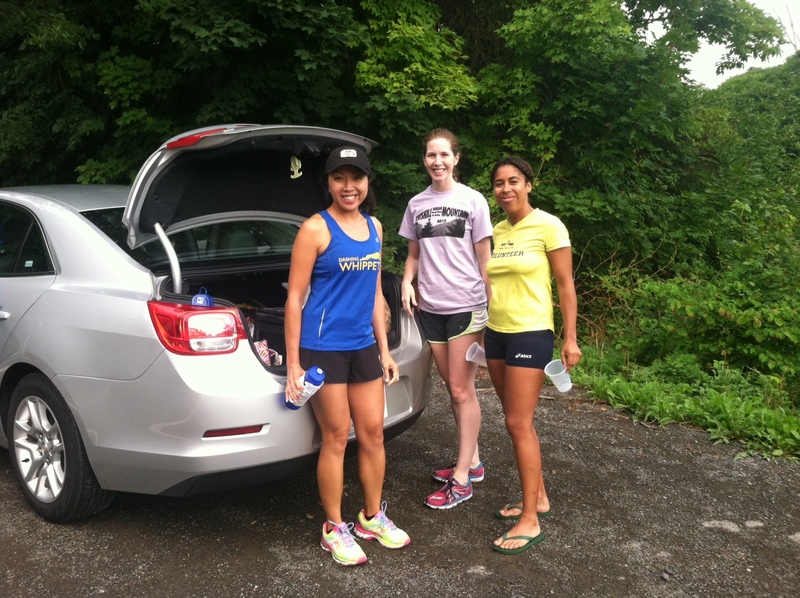 We stopped at 3 Goldens Convenience Store, the 80K mark on the course, and chatted with Adam’s wife Janis. She confirmed his determination to finish the course in record time, and confessed that at some point earlier in the day he had been talking about breaking 9 hours. As it was, he would probably not break 9:00 at this point, but was still in a great position to come in under 10 hours. Having accounted for all of the solo runners, the next task would be to head to West Shokan and set up the finish line and pavilion at Davis Park for the post-race. As we passed through the Peekamoose Mountain trailhead section (about 85K), we saw dozens and dozens of vehicles parked along the road, in both legal and illegal parking spots. I had learned a few weeks ago that this area – which features a “secret” swimming hole called the Peekamoose Blue Hole – had become overly popular among many NYC-based day tourists, and from what we observed, the area appears to have gotten completely out of control. We came upon one motorist who had stopped his vehicle right in the middle of this narrow, shoulderless road, practically blocking traffic in both directions. After somehow negotiating around him, we quickly came upon a group of 4 or 5 young men carrying towels and 12-packs of beer, and one of them even had a Jack Daniels bottle that he was aggressively pouring into a plastic container. Catherine and I could only shake our heads in disgust. Finally reaching West Shokan, we scrambled to get the finish line structure set up, and while I ran off to the Boiceville IGA to pick up the 3-foot-long sandwiches, Catherine set up the tables, tablecloths, finisher awards/medals and so on. Shortly after 1:00pm, Adam’s support crew appeared at the finish, announcing that he was only about 10-15 minutes out. I was especially excited for him, and proud to be on hand to see such a phenomenal course record being set. As he rounded the final turn onto Lang Rd, the clock read 9 hrs, 19 minutes, and he finished in an official time of 9:19:39, almost two hours faster than Ken Posner’s course record time of 11:15:57 in 2014. Totally drained but clearly pleased, Adam spent several minutes flat on his back in the grass, chatting with his family as he got through his initial recovery from a very taxing race. Dante Simone followed Adam a mere 38 minutes later (and still looking quite fresh, I might add) in an official time of 9:57:12, with Chris Rice coming in 3rd overall in 10:45:35. Chris’s stated goal had been to beat the previous course record, and having done that, gave me a happy smile as he crossed the finish line. Only minutes later, Jordan Grande became our female solo winner in a stunning time of 10:53:52, beating the women’s course record by over 43 minutes, and also taking nearly 3 hours off of her 2014 time of 13:43:07. Following Jordan was William Uribe, who had recovered appreciably in the latter stages of the race, and finished 5th overall in 11:11:37. During this time, the fastest of the relay teams began appearing in Davis Park. 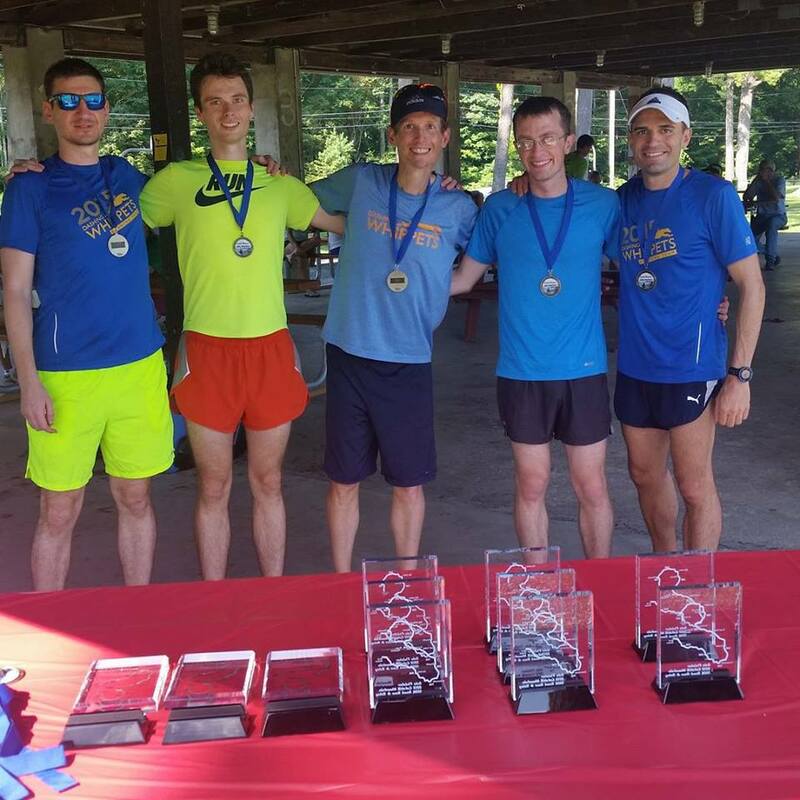 Finishing 1st overall and first in the Open division (6:49:53) were the Dashing Whippets Men, who, as a team, recorded the fastest individual time on 7 of the 10 relay legs. Ryan Hepworth’s 44:25 time on Leg 4, although nowhere near the fastest ever, was a full two and a half minutes faster than any other team’s leg 4 time. Scott Bartucca’s Harrier Men team finished 2nd overall (6:59:17) for the second year in a row, showing that they will always be a force to be reckoned with. Crossing the line 3rd in the relay division was the 1st Superteam, calling themselves Rising Sun. This enthusiastic group – also from NYC, as many of this year’s teams were – completed the 100K course in an impressive time of 7:16:18. In a display of team dominance, the Dashing Whippets Women took first place in the Female division, clocking in at 7:45:42, followed in 2nd place by their lady teammates the Mountain Whippets in 9:08:58. Winning the Masters Division were race veterans the Road Warriors in a time of 10:02:59. And finally, in the Mixed division, Albany area team the MA-RA’s (Middle Aged Recreational Athletes) won in a time of 10:14:20. After the relay teams were all in, and everyone had partaken in sandwiches, soft drinks and (for some) a beer or two, we gave out the team awards, after which time many of the teams headed out on their long trip home. But the race was still going on for many of the solo runners, and we gave renewed attention to the finish line as the sun began to make its way toward the horizon on this terrific August Sunday. Finishing 6th overall in 13:11:12 was Grzegorz Klapadlo of Maspeth, NY. His resume coming into the race was thinner than many of the other solo competitors, but he clearly showed that he has what it takes to tackle CMRR, and was a proud 1st timer. 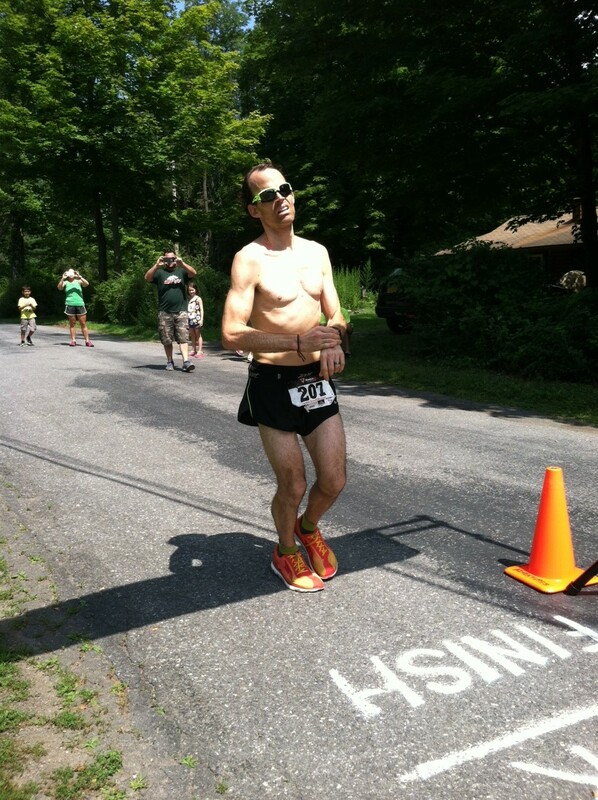 Chris “Pizza Man” Regan of Wappingers Falls, NY was 7th in 13:35:49, and upon finishing, swore off ever doing a 100-miler. “100K was enough for me.” he stated. Robert Sholtis, a late entry from the D.C. area of Virginia, finished 8th in 13:53:59, followed in 9th (and 2nd place female) by Rachael Rheaume. Rachael’s mom and dad had been hovering around the finish area for at least an hour and a half, wondering about her status in the race, and hemming and hawing about whether to drive out onto the course to find her. Well, they finally did, and then quickly returned to tell me that she was nearing the finish and looking good! Rachael finished in 13:58:48. Rounding out the field of solo finishers were Melissa McCutcheon and Trishul Cherns. Melissa had raced CMRR last year, but DNFed somewhere around the 70K mark. Buoyed by a desire to finish it this year, and crewed for again by her husband Tom, she finished with Trishul in a time of 15:18:02. Trishul’s was – are you ready? – his 238th ultra finish. Wow! Thanks to all the teams, solo runners, and especially to volunteers Catherine Petroski, Brian Cavanagh, Jim Bixler and Andres Espinosa, whose boundless help was pivotal in our 2015 success. I look forward to seeing all of you back in the Catskills with us next year for another great adventure. For those who may be wondering, the tentative date is August 14th, 2016. Have a great end to your Summer, a terrific Fall, and keep doing great things! Based upon my own experiences in this revolving trip around the sun we’re all taking together, I can say without question that there are many moments of self-doubt in life. For some, these moments may be less frequently occurring than for others, but we all have them. This, I know. 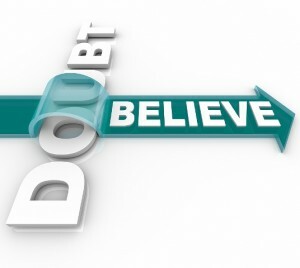 I’ve recently had my own, latest battle with self-doubt, and it centers around my faith and trust in other people. As most who know me would attest to, I’m a very trusting person. My first instinct is to look upon another human being as honest, and of good will. Almost always, this MO toward life has worked for me. It’s given me many solid relationships with friends and people I do business with, and has significantly reduced the amount of stress that I bear in everyday living. But as we all know, there are exceptions to everything…. In the early part of 2012, I met a man who initially struck me as quite amazing. As I learned in talking to this person (who I will call ‘Jerome’), he not only had his own business, but several businesses. And while still only in his early 40’s, he already seemed pretty set, financially. Not only did Jerome have a solid financial base, but he was a runner, and had continuing aspirations to do more with himself in that respect. To me, Jerome had the good life, something I admit to being a bit envious about. As fate would have it, a wonderful opportunity presented itself to me at about the same time that I met Jerome, and although I didn’t appreciate it at the time, it would set my direction for the future. I continued to work on this opportunity with the passion I knew it deserved, and by the Fall of 2012, it was beginning to take real shape. While I continued to put the pieces in place to this new venture, Jerome reached out to me in early 2013. He had heard about the event I was working on, and wanted to support me. He also spoke with enthusiasm about the event’s purpose, which touched a chord in me. “Let me help you.” he said with a smile in his voice, and I told him that I’d be delighted to have him in my corner. And so the conversation ensued with Jerome. After some discussion, it was decided that he would “sponsor” my event by providing one of my required services at his cost (no markup). Being that I was looking to economize wherever I could, I took him up on his offer. I was happy, and felt as though I had good things happening to me. But almost as quickly as the good feelings took root in me, they were replaced by angst and worry. I quickly discovered that it had been a mistake to get involved with Jerome, and before I knew it, I was facing embarrassment in the eyes of others, and financial loss. Jerome did not deliver on any of his promises to support me. In fact, he took resources from me under the guise of providing a service that he ultimately never provided. As alibi for Jerome’s failure to provide services, he put forth to me an elaborate series of lies, some of them so bizarre that I could only suppose that he suffered from some kind of sociopathic mental disorder, and others so unsophisticated that I couldn’t imagine a rational person even thinking that someone else would believe them. I guess the moral of the story is that there are humans out there – our brothers and sisters riding with us on this big blue marble – who cannot be trusted, who do not have good will toward others, and who do not understand or otherwise value honesty and integrity. How is it that I fail to see through the veils that these kinds of people wear? Will my own good nature always make me vulnerable to ill will? Should I become suspicious of everyone, even those I think of as friends? Today, I have nothing but self-doubt and unanswered questions. I hope tomorrow will be a better day. I believe it will……. I’ve never bee n one to be shy about expressing my opinion, and sometimes I’m known to do so in pretty strong fashion (yes, DP, wherever you are – I admit it!). But the fact remains, it’s merely my opinion, and I understand that whether I am in the majority or the minority in that regard matters very little, as it will do nothing much to change my day-to-day life. More often than not, I find that when I express my opinion strongly about something in the face of an opposing view, there is nothing positive that ever comes of it. All I get out of it is a lot of anxiety, and certainly a lot of emotional energy is spent in the process. Ah, to be right. It’s what we all want, isn’t it? 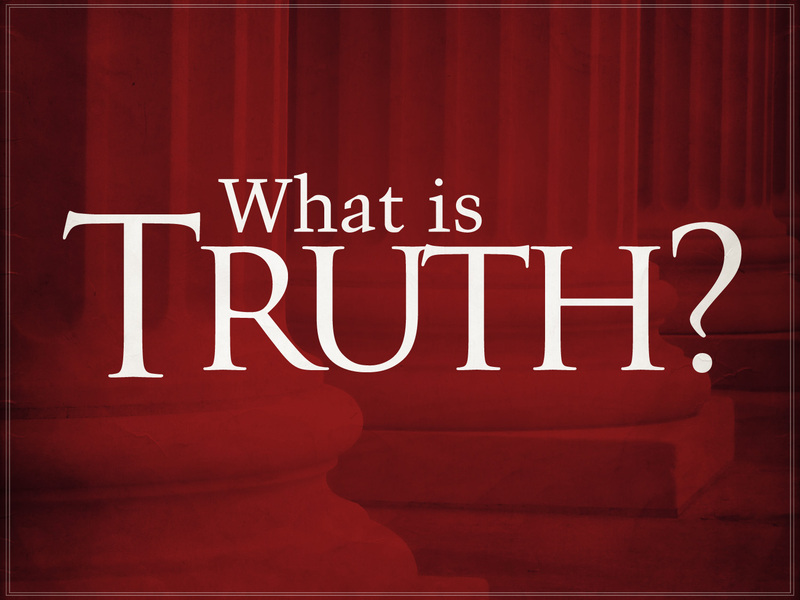 We want to know that the way we see the world is the truth, the undisputed truth, and nothing but the truth. This makes us feel good, and gives us the validating feeling that the way we’re going about life is the best way. Our ego is satisfied. But the fact of the matter is, when you get right down to it, there is no undisputed or absolute truth. Take any given fact, put it out there into the open world, and I would bet you my last dollar that there is at least a small percentage of the population who disagrees with it. This is the way the world goes around. This is the truth. And so, what does it all mean? Well, I guess it can mean a lot. Or, nothing at all. I recently had a public debate/dispute with a ‘Friend’ on Facebook about the self-identification that many Penn State University alum have made with their school, and about how these same people, as a means of distancing themselves from the scandal that took place there, have disassociated from the people who were responsible for covering up Jerry Sandusky’s atrocities. In other words, I was told, “those people, those top officers at Penn State, were/are NOT the university.” In this debate, I had taken the stance that Spanier, Schultz, Curley and Paterno were indeed Penn State University, that they as (the academic equivalent of) corporate officers represent the values and ideals of the “business.” To say that they were not Penn State would be – I argued – like saying Bill Gates and his corporate team are not Microsoft. The person I was debating with –a PSU graduate – did not take kindly to this opinion. I was vehemently told that I was “drawing incorrect conclusions” from our discussion, and therefore my argument was invalid. However, happy to continue the discussion, I pressed on with further points and conclusions, only to then be told that I was starting to “piss off” my debate partner. The way I see it, the inherent nature of intellectual discussion carries with it this risk. But….when the name calling begins, it’s probably best to put an end to the conversation, and so that was the way the situation ultimately concluded. What I realized in all this was that the other person had their way of seeing the facts, and I had mine. And since that wasn’t going to change, I essentially had two options – either to tell them that I agreed with them (even though I didn’t), or to simply end the conversation by saying that we obviously do not (and will not) see eye to eye. I chose the latter. I then followed up that step with another one – I unfriended the person, for which I was very quickly criticized. Yes, I was characterized as being ‘unclassy’ for running from the debate. There was more to my unfriending this person than just this debate, but it was definitely the clincher. What is it with people where they have to be right, and if you deny them that opportunity, they get all bent out of shape and start blasting you? I don’t know, and I suppose it doesn’t really matter. The point in all this was that the debate between this person and I was starting to cause me knots in my stomach as it got more intense, and I decided to put a stop to it, for my sake. He had his truth, and I had mine. And that’s fine. It sure wasn’t worth fighting over. As I apply this concept to the world around us and see all the differences that we (‘we’ meaning Americans and our culture) have with other countries, cultures and religions, I have to wonder, is any of it really worth fighting over? Do we have to be right, and declare others ‘wrong’ in their view of things? Isn’t it causing us a lot of anxiety, loss of life, and wasting energy that we could otherwise be using for positive purposes? Others have their truths, and we have ours. To which we are both entitled, and should therefore not kill each other over so as to prove that we are right, or superior. At the pump behind me at the gas station is a 30-something guy of obvious Latino descent. “Huh?” I say. And then, after a moment of realization, “Oh….uh, I don’t know. And you’d think I would, right?” What he’s hearing is my MP3 player blaring “They Love Each Other” as I pump my gas. I thought about it for a quick second, and decided that no, I still don’t know what Grateful Dead show this song comes from. 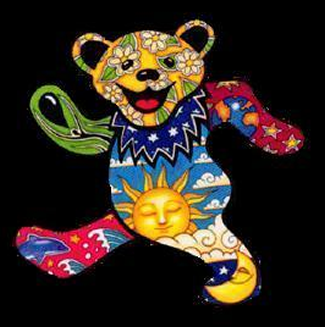 For you non-Deadheads, I should explain that every live show the Grateful Dead ever performed has been recorded, and in most cases, by many people. This is not bootlegging, mind you. 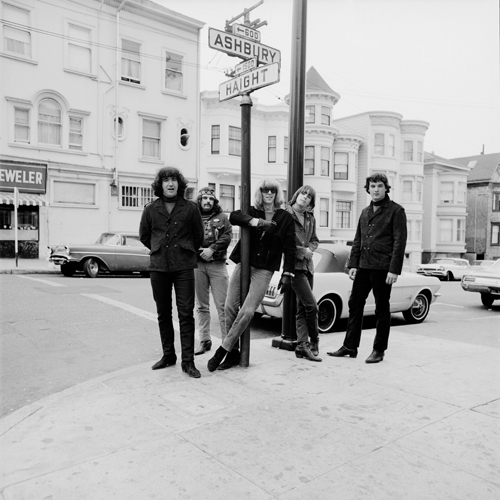 The Dead actually encouraged their fans to record the shows, which in turn, built them a tremendous following, and amongst their fans, an unparalleled sense of community. “What, is it on the radio?” the guy says to me. “No, it’s my MP3 player, and I’m ashamed that I don’t know what show it is.” However, a quick check of my Rio’s display panel reminds me that the recording is from Barton Hall, Cornell University, 5-8-77. Many Dead devotees consider the Barton Hall show to be the best the band ever played. And that’s saying a lot, because over the course of 30 years the Grateful Dead performed live 2,318 times. He gives me a smile and a nod. This is the community that Jerry, Bobby, Phil, and the gang built through their very special creative talents. And as I think of it now, I feel that community is actually a primary goal of the creative process. Or if not a goal, it’s certainly the outcome of most successful creative endeavors. I want to build things. I want to create in such a way that community forms around the center of what I do. This is how I will measure the success of all of my own creative pursuits from now on. 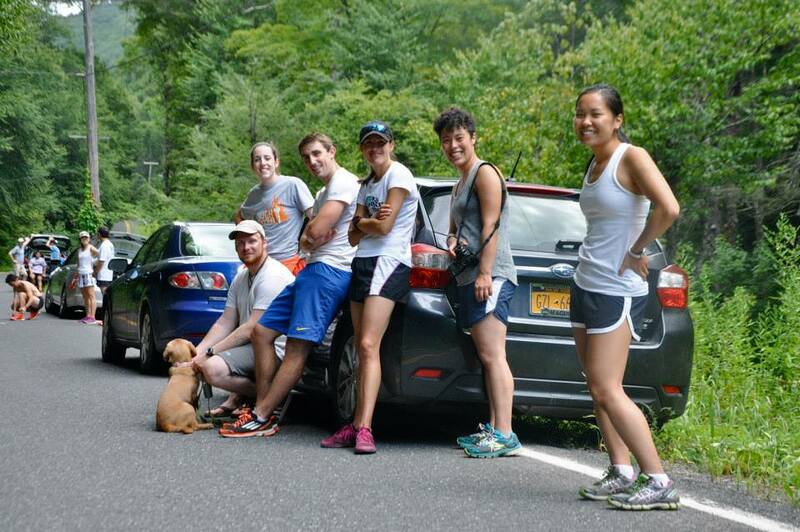 It’s been almost three months now since we issued our press release and began the Hudson River Run 2012 campaign in earnest. A lot has been accomplished since early January, but there is still much left to be done. As of today there are only 39 days until I begin the run from Lake Tear of the Clouds!! A great many of the logistics have been taken care of to this point, with some still outstanding. Our publicity campaign has been going extremely well (we have 4 press clips so far, with more to come). And although there are still quite a few loose ends to tie up, the bulk of the remaining work now lies in the fundraising. Our goal, as many of you may remember from our first announcement, is to raise a minimum of $50,000, with a top tier goal of $100,000. If you’ve already made a direct donation to the charity, I want to thank you again for your wonderful, heartfelt support. The generosity you’ve put forth is very positive, and will certainly come back to you several times over. This is the way of the Universe. But with our campaign on Crowdrise standing at just a little under $4000, we still have a long way to go. Ok, so how will we get there? Well, in several ways, actually…. Email subject line: Can you help protect the Hudson River ? 3. 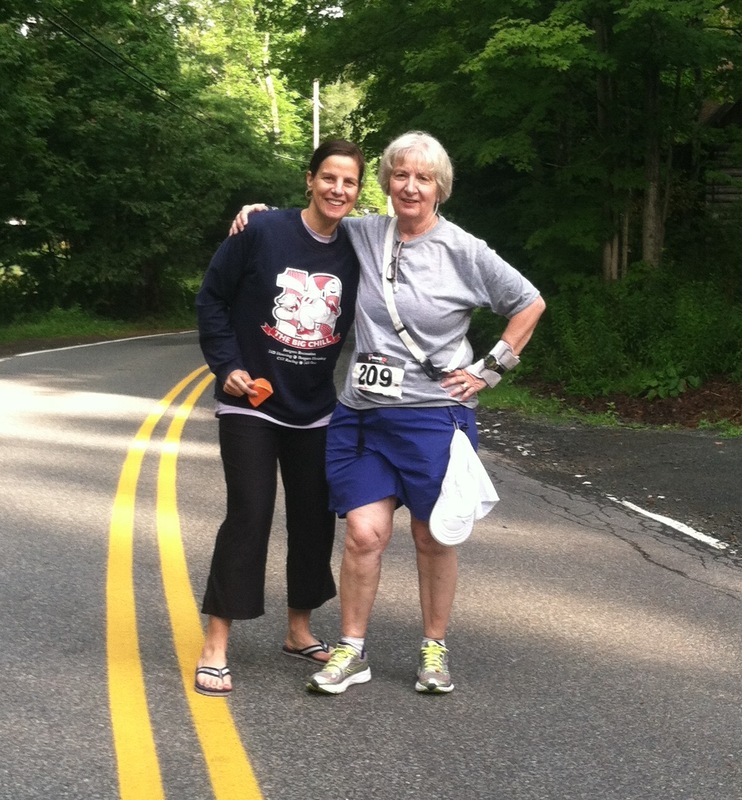 Run With Me and Become A Member of Our Fundraising Team! Yes, that’s right, I am asking for your company for some of the many miles that I will be out there. This is an opportunity for you to be an integral part of what it is we’re doing, and being that I will expect to struggle out there at times, your presence will be a source of great emotional comfort and support. 🙂 I encourage each and every one of you who is a runner to come out and run part of the course with me. In consideration for that, all I would say is that I encourage you to be a part of the fundraising team as well. All of this cannot be done by one person – “it takes a village” as the old saying goes. So, how do you do this? After you’ve joined (or logged in if you already have an account), join our project. Go to this link http://www.crowdrise.com/HudsonRiverRun2012, scroll down to the Team section of the page and click the “Join The Team” button. Oh, and don’t forget to be sure that you’ve added a profile pic to your Crowdrise account; this adds legitimacy to you and your effort. Your profile pic will appear in the Team list with all of the rest of us. My run is segmented into 8 days, with route summary details and maps for each day shown below. You are welcome to run part or all of any of the legs in the route, but just keep in mind that I unfortunately will not be able to provide you with transportation to/from your starting and finishing points, as we will have a schedule to keep, and besides that, our car will be chock full of all of our supplies. Share your project fundraising page with anyone and everyone you know and love, tell them that you are running with me to support the Hudson River, and ask them for sponsorship. Tell them how many miles you plan to run, and ask for, say $2.00 per mile, or even $1.00 a mile. If, for example, you run 15 miles with me and get 20 people to pledge $2.00/mile, you’ll raise $600 ! See how easy it is?? 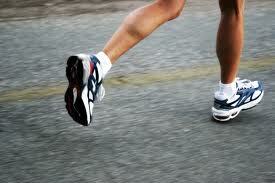 This is the power of running !! Now, let’s go run that river!! !